THE Government has said it is perturbed by individuals and institutions describing the recent hike in civil service staff salaries as a mockery. The Government and the Zambia Congress of Trade Unions (ZCTU) recently reached an agreement to increase salaries for civil service staff by between 7.4 per cent and 9.6 per cent effective January next year, which has been welcomed by the Civil Servants and Allied Workers Union of Zambia and other stakeholders. 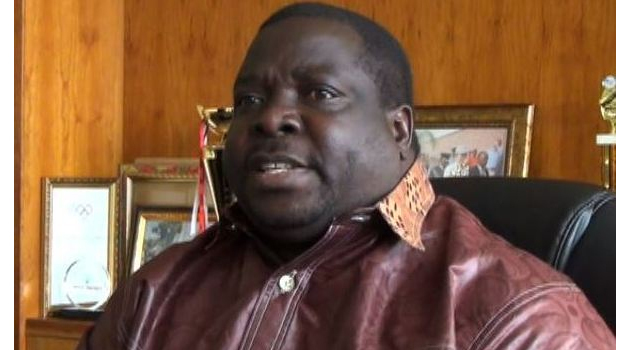 However, former Information and Broadcasting Services minister Chishimba Kambwili, Forum for Democracy and Development (FDD) spokesperson Antonio Mwanza and former National Energy Sector and Allied Workers Union (NESAWU) general secretary Yotam Mtayachalo are on record describing the measure as a mockery. In reaction to the sentiments by the trio, chief Government spokesperson Kampamba Mulenga said the Government was doing all it could to improve the welfare of civil service staff, and that remarks attributed to the three were unfortunate. 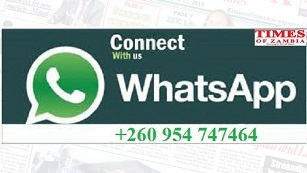 Ms Mulenga, who is Information and Broadcasting Services Minister, said in an interview yesterday that the economy was still recovering and the Government could only make fiscal adjustments according to the available resources. “We are aware that we need to encourage our people to work harder, and our assurance is that the medium-term expenditure framework in place runs up to 2020, so this increment is just the beginning of better things to come as we are still negotiating with the unions,” Ms Mulenga said. She said the Government was aware that the trio could not have anything good to say about the Patriotic Front (PF) administration, despite the socio-economic growth witnessed by the country since the ruling party assumed office in 2011. In welcoming the increment, CSAWUZ president Davie Chiyobe said despite the workers expecting more, the adjustment was better than nothing. About 200,000 civil servants have been awarded salary increments of between 7.4 to 9.6 per cent by the Government effective January next year. Mr Chiyobe said in an interview that the 7.4 per cent increment translated into an increment of K231, while 9.6 translated into K305. This meant that the degree holders would have an increment of K305 while the rest will have K231. “What I can say is that our members expected more than what has been given and I know it will not go well with them, but this is better than nothing. We got something after the negotiations which are not easy,” he said. The Civil Society for Poverty Reduction (CSPR) also expressed delight over the increment. CSPR provincial coordinator Maxson Nkhoma said in a statement yesterday that the not less than 7.4 per cent salary increment showed a spirit of give-and-take between the unions and the Government. Mr Nkhoma hoped the increment would help to increase the purchasing power among public service workers in the light of increased prices of goods and services. The National Action for Quality Education in Zambia (NAQEZ) also welcomed the increment, describing it as timely, considering that the public service workers did not have an increment for a long time. NAQEZ director Aaron Chansa said in an interview yesterday that once in effect, the pay rise would cushion some expenditure challenges facing the workers. “The increment is a sign that the Government appreciates the civil service and is committed to improving their wellbeing. Civil servants, especially teachers have had no increment for some time now and the teaching fraternity was faced with many challenges such as shortage of accommodation, which unions should address urgently,” he said.